Is there a foodie in your life? In your family? If you can resist the temptation to gobble them all up, give them as a gift of love (that’s sure to be a hit). That or bring a batch to share at the table. On second thought, bring two batches. They certainly won’t last long. These are my new addiction. Sprinkle them over ice cream for a dessert that is to die for. 1. Put the butter, syrup, and vanilla into your crockpot. Turn on low and allow the butter to melt completely (only takes a few minutes). 2. 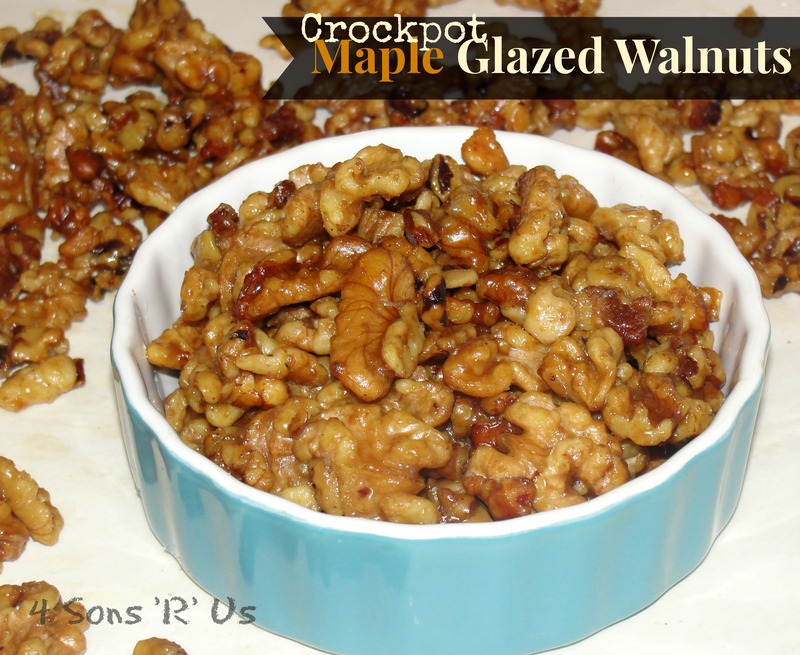 Mix in the walnuts and mix from the bottom so all of the coating is all over the walnuts and not on the bottom of the pot. 3. Cook on low 1 hour then stir. Cook another one half hour to one hour more. 4. Turn out onto wax paper and let cool – completely. 5. Pack in an airtight container. 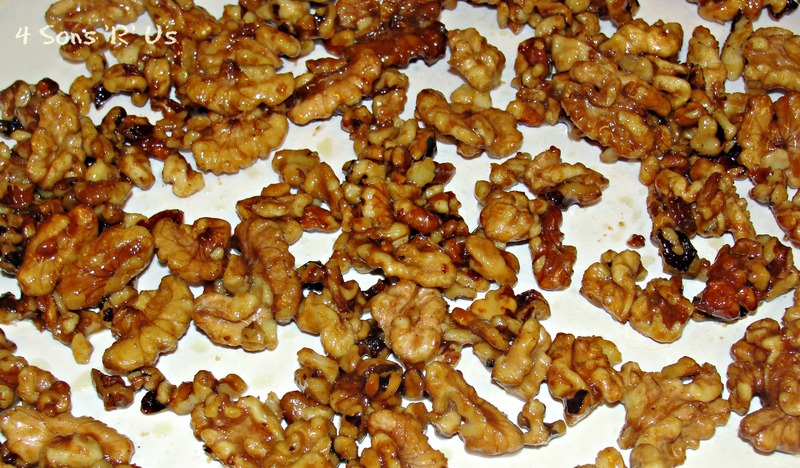 The walnuts will keep in the fridge about 6 weeks and will keep in the freezer for about 3 months.